Catering to brands like Clarks, CAT, Prada and Armani among others, Chennai tops the footwear export charts in India. That said, leading manufacturers agree that ita��s time to focus on the local market as well. With approximately 800-900 tanneries operating in Tamil Nadu, the South has been leading the country in the leather export business for decades. Proving this are the number of foreign brands that pour in to Chennaia��s annual leather fair that takes place at the end of January. But recently, cities like Kanpur, Kolkata and Agra have been catching up, with Kanpur even beating us to take the number one position in 2013. That said, despite our strict pollution control laws and dependence on imports for certain leathers, experts feel that the South is far from losing the race. a�?Yes, the North is catching up. But their products are different from ours,a�? says Devarajan Koteeswaran, a veteran in the field with over 40 years of experience under his belt. a�?Chennai is known for what we call a�?light leathera�� a�� goat sheep and calf. Whereas places like Kanpur are famous for heavy leather, which are buffalo and ox hides,a�? explains Rafeeque Ahmed, chairperson of Farida Group that has been in the business since 1957. 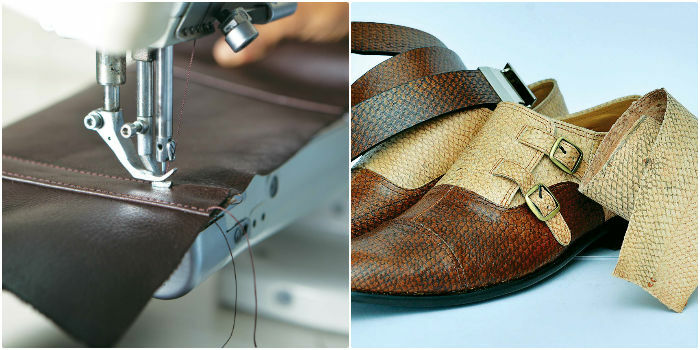 Simply put, the South produces fine leather shoes, while the North produces quality leather for products like upholstery and safety equipment. what holds us back is the dearth of raw materials such as cow hides, for which we rely largely on states like Kerala. a�?Also, the other industries like IT and Auto pay double, so there is a lot of labour migration,a�? MAM Balachander of Winner Overseas explains. a�?Materials like linings, buttons and zippers are readily available in the North. While they can source these things overnight, we have to wait for weeks,a�? he adds. a�?We compete with them on quality, but when it comes to cost, they hold an advantage,a�? 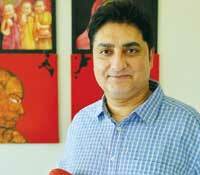 says P V Gopalakrishna Bachi of Bachi Shoes India. All this coupled with a strict a�?zero dischargea�� law enforced on tanneries, adds to production costs. But this is in no way dampening spirits. a�?The leather goods market may see some consolidation and as a result smaller entities may find it challenging to sustain. Companies with strong infrastructure in terms of technology, sourcing and design will continue to grow,a�? 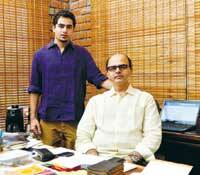 feels Arijeet Purkayastha, who started Viari Exports, 25 years ago. a�?There may be an increase in pricing because of short supply of materials. But we are still cheaper than the Chinese (our main competitor internationally),a�? he adds, while Bachi, who retails in the local market through his brand Language, feels that this can be sorted, provided companies relocate. a�?Because at the moment most of our factories are on highways and we transport our labour to and from, which is an extra cost.a�? Leather Research Institute), feel that our strict environmental laws may have increased the costs, but have also enhanced our reputation. a�?India has one of the strictest environmental norms in the leather industry and the demand for Indian origin products is only growing.a�? Bachi adds that our factories are of international standards. a�?Social and environmental audits happen regularly and we have attracted a lot of big brands,a�? he says, while Shaukath, CEO of Khizaria Leather Industries, feels that our infrastructure, quality, health and safety aspects are a plus point. a�?Traditionally, we see most customers enter India from the North, but slowly migrate towards Chennai and stay here for the reasons listed above.a�? Given that our hold on the international market is strong, especially in Europe, what do these leather houses, at least three generations in the business, have to say about the future of the industry? Focus on the local market, they chorus. a�?India is the second largest consumer of footwear in the world, but the local consumption is still largely run by the unorganised sector,a�? says Bachi, while Balachander elaborates with a joke. a�?The potential is such that if 10 per cent of the local market switched to shoes, we can stop exporting.a�? Brands like Language and Viari are already taking steps towards this. Abhyuday Purkayastha, 22, the brand operations executive of Viari, joined the family business after studying in Exitor, UK. His first order of business was to plan a national brand. a�?Today it is all about social media. I would cut down on brick and mortar and look at more online platforms,a�? he says, about scaling up their brand. segment. Rafeeque Ahmed of the Farida Group clarifies that it is an entirely different market, that is leading locally. a�?We produce 2.2 billion pairs of footwear, of which 150 million leather pairs are exported and an equal number is sold locally. So just 10 per cent of the footwear made here is leather.a�? Vimalan Velayutham of Ayyappa Enterprises, who gave the city Calonge, that offers hand braided bags and footwear, feels that non leather will continue to grow, but only for the mass volume segments, owing to their low pricing, a�?not for the high end or medium segments.a�? 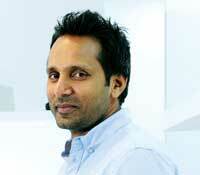 As for exports, Abhyuday feels that the key is in design. a�?Most of our products are gadget friendly and they are designed with a global aesthetic in mind,a�? he says. Viari have collaborated with London-based designer Silas Grant to come up with nine collections that they will be releasing over the course of the year. And while everyone agrees that the design trends are changing rapidly, some feel that the production process will also have to evolve further. a�?Quick development and short runs in production and flexibility are the keys for the future. Those who adapt to satisfy this condition will survive and grow,a�? Shaukath of Khizaria concludes.